Hi! I’m Gareth I’m originally from Bath, home to the best rugby team in the UK (and that’s a fact). I first climbed Mount Snowdon aged 10 and have been rock climbing since I was 13 years old. Now, I live in Devon, and have been leading groups on all sorts of adventurous activities for the last 4 years. What draws you to take on all of these unusual adventures in amazing places? Getting to experience some amazing landscapes and settings with cool people. Do you have a favourite trip to lead, and why? Kilimanjaro is a unique mountain and the locals are great, so that’s one of my firm favourites. Also, the r&r days at the end by the pool are pretty great! So I’d have to choose either there or any of our trips to Nepal, because the Himalayas are just incredible! What is one special moment that stands out from your trips so far? I’ll never forget seeing the night sky from Horombo Camp, overlooking Moshi, on a Kilimanjaro trek. It was so clear that the Milky Way was easily visible! It was spectacular and made all of the trekking worth it for everyone in our group. If there was anywhere in the world you could lead a trip, where would it be? Ama Dablam in the Himalayas, without hesitation. Best looking mountain in the world! 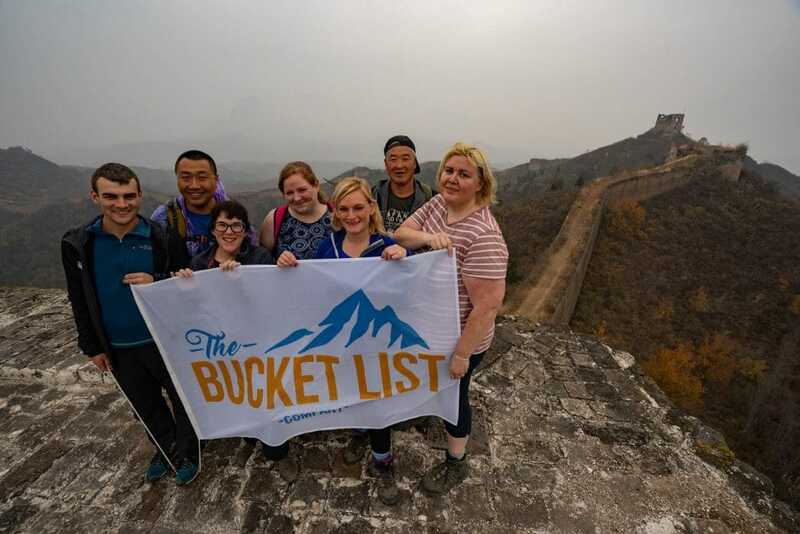 What do you think is so great about The Bucket List Company’s trips? The main thing that our groups love is how skilled and enthusiastic the local teams we use are. Often, our local guides have grown up in the mountains we’re trekking in, so they know everything about the trails, the climate and the culture, too. This means you’ll get inside knowledge and a more authentic experience of the country. Also a huge bonus is the sense of community. Once you are a Bucketlister it’s like a whole big and varied family you become part of! Full of curious minds and adventurous spirits, enthusiastic about exploring the world! What are your top tips to prepare for trekking? Take a duvet jacket! No, but seriously – get out and do loads of walking in the UK. North Wales, Exmoor, the Peak District and the Brecon Beacons are all amazing places to explore, and they’re close to home! This is why I love doing the training weekends we run – I always get to see a new side to the beautiful landscapes we visit. Getting out lots also allows you to practice looking after yourself in these adventurous environments! The better you are at that the more you will enjoy your time on the big trip itself. What would you say to people who are worried about their safety on a trekking trip? Like I said, getting out and being comfortable in an outdoor environment for multiple long days before your trip will help you to feel more comfortable when it comes down to the trek itself. My main advice, though, would be to talk to the trip leaders and local guides – they are all highly skilled professionals who will be able to help and care for you. But don’t worry – just ask any of our previous Bucketlisters – you’re safe in our hands! How do you think adventure travel has changed your life? From Morocco to the Himalayas, I’ve seen some incredible places that I never would have experienced on package holidays or city breaks. Taking on a bucket list adventure is the ultimate way to build your confidence, learn new things and make new friends. It has given me the opportunity to meet some awesome people who I now share some life-long memories with. 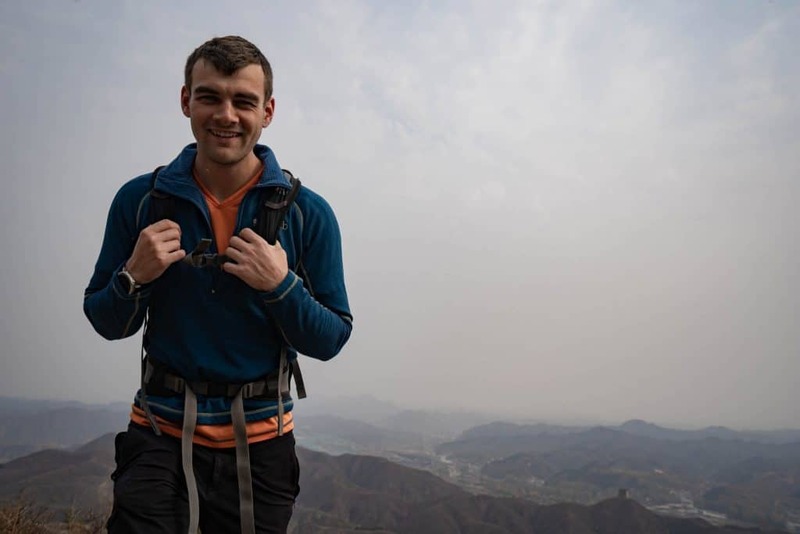 If Gareth’s story has inspired you to get out and experience the outdoors, why not join one of our training weekends? We run training sessions in both The Brecon Beacons and the Peak District, which are a great way to try out trekking before you decide on a big trekking trip. To find out more about our Bucket List adventures, contact us today on 0176 930 9007.